THEY STARTED MAKING WATCHES OUT OF WOOD! I know! Seriously cool! Not only can I wear these, but I LOVE them. Wood in general to be fair. It is my ambition one day to live in a house made entirely from wood. It’s a beautiful material, and comforting, and cosy and just, it has so much soul! 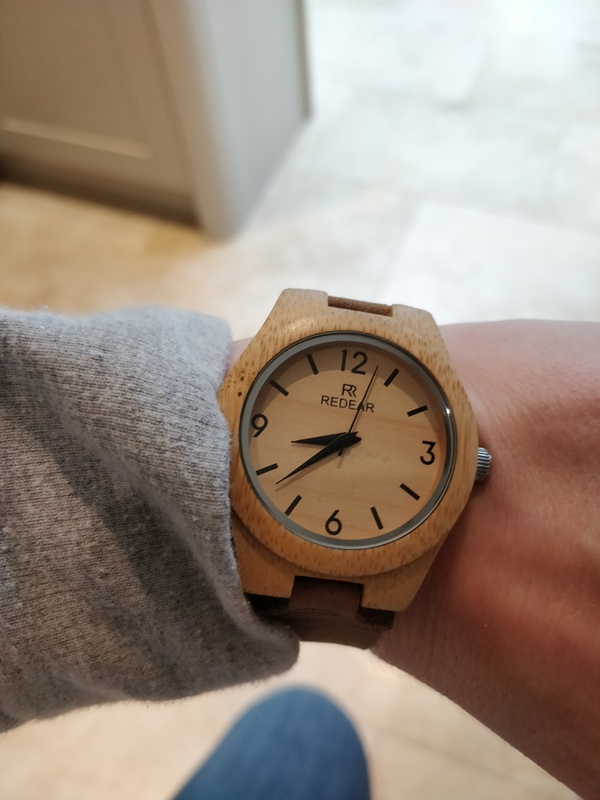 Anyway, so I asked for a wooden watch for my Christmas present, and there are loads to choose from, but the one (pictured) had my name on it, and is made somewhere totally random like Outer-Mongolia or something, and cost £8, but I genuinely love it. And I don’t really have prized possessions. What’s more, I have accidentally washed and tumble-dried this watch twice now. And it’s still going. And you just rub a bit of olive oil into the wood and the leather strap, and it comes up just like new. What an awesome thing. And I’m rather inclined to think the best things in life really don’t cost much. I don’t think I need to say any more…. Previous PostPrevious Oh Amazon, how well you know me!